You are here: Home / Manage Money / How to Budget / How Do I Start a Monthly Budget? As most of you know if you’ve been following Celebrating Financial Freedom for more than a few weeks, the CFF blog focuses very intently on getting out of debt and living a debt free lifestyle. You won’t find articles about how to manage your credit score here, that’s for sure. This is the first of a two part series on starting a monthly budget, so make sure and read Part 2 also! This post focuses on one of the basic first steps to getting out of debt, which is learning to make a plan for your monthly spending (yes, a budget). Since I’m always preaching that you should be debt free, it only makes sense that I should write an article on the basics of how to get started budgeting. How To Start a Budget NOW! 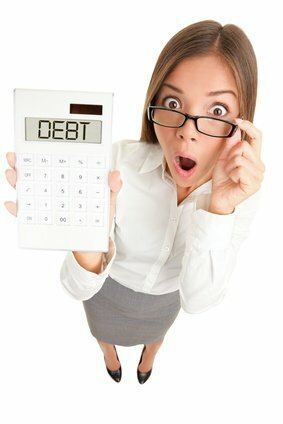 The first thing I recommend to start getting out of debt is to get control of your cashflow. How do you do that? You put together a plan for spending your money before you spend it. A monthly spending plan, (also known as a budget ), is an extremely effective tool. It will save you tons of money over time and keeps you from spending more than you make every month. But a spending plan is only effective if you do it consistently. If you try it once and don’t do it again the next month, it won't do you any good whatsoever. Budgeting takes practice! 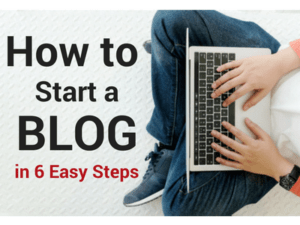 So how do you get started? Well, I believe the quickest and simplest way to become familiar with your spending is to write down every single expense you have for the next 30 days. If you pay a bill, write it down. If you buy a pack of gum, write it down. Spiked out collar for your dog with matching ankle bracelets? Get to writin’ dude. You can write it down in a small notebook you carry with you in your purse or your pocket. Or you can even enter it as a note into your smartphone. It doesn’t matter how you do it, just make sure and do it. How to Start a Budget- Everything you need to know + Free Resources! If you make the commitment to do this for 30 days you will find that it’s an easy way to start getting a feel for how you spend your money. You’ll also start developing the habit of considering every purchase and how it fits into your personal financial situation. You will actually start putting more thought into each purchase. That's is a good first step to developing the good habits it takes to get control of your money and start getting out of debt. Once you’ve done this new thing for 30 Days, you now have enough information about how you spend your money to sit down and start putting together your first Monthly Spending Plan (otherwise known as a budget ). But before we go there I want you to start taking that first step I just described above. Start writing down every expense, every time. In the next “How Do You Start a Budget ?” installment, we’ll get a little deeper into the process and I’ll show you how and why to start putting together a Monthly Spending Plan that will get you on track to eliminate the one thing that plagues most people when it comes to their finances, and that is spending more than you make. Downloadable budget forms are available on that page so you can get started on the right track. But for now, one small step at a time. Get to writin’ Sluggo. Now Go Read How Do I Start a Budget? (Round 2) where you'll find out the next steps and download free printable budgeting forms. Dr. Cabler, I am going to say that this was just divine intervention on my behalf because I have struggled financially ALL of my life. I am finally ready to sit down and commit myself to finding out what the problem is and correcting it so that I can change my situation. My Pastor always says that nothing happens by coincidence. I was online looking up information for something else when your Celebrating Financial Freedom caught my attention. The more I read, the more I was inclined to read as God began to show me that this is what I needed to improve my situation. My Pastor Dennis C. Ruffin has told me many times what to do to get a hold of my finances and I did it for a while and then quit (It was too hard to be consistent). Now I am wondering why I cannot even go to the store or go shopping or do any of the things that I would enjoy doing because I never have money left over to spend. I pay my tithes, but not consistent with that either. It is the first day of the month and I have told myself that TODAY….YOU ARE COMING OUT OF DEBT!!! I vow to change my way of thinking about my situation because I have to be transformed by the renewing of my mind before my situation can change. I know that I am on the right path, I just pray that THIS TIME I can be more consistent and honest with myself about where I am. 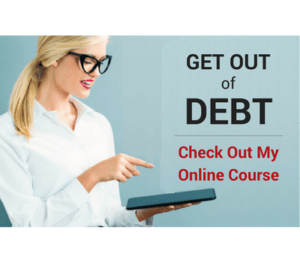 Thank you so much for offering this course and the motivation you give that let’s us know that we can achieve Financial Freedom and we do not have to feel bad about being here. #Despisingnotthedayofsmallbeginnings!!! It’s great to see someone as motivated as you! The first thing you have to do is get so mad at your situation that you vow to never go back, and it sounds like you’ve done that. Once you purchase the course and get started with the material I’ll be glad to answer any questions you have and help keep you motivated and moving forward. Congrats on your decision to take no prisoners! Nice tips. The entire point is that budgeting doesn’t really have anything to do with what comes natural. The focus should be on the mindset that can be changed or honed just like any other habit/skill/process. Most people fail at keeping a strict budget each year because it’s a lot of work. That’s why they should fix their financial mindset before fixing their budget. Dear Dr.cabler…..I had been totaly bankrupt I dnt have any option and I dnt hav anything to start a new project…I took an a high interest rate wit my friends….I dnt have any idea how to pay back those interest to my friends…..please help me out…to get out of this dept…I need your help. These links will show you everything you need to know! I was lucky; my mother sat me down and helped me budget before I moved out. We went over all the bills I would have, and what I needed for food and fun, and she showed me some of the bills she’d been paying. I think your tips are great; definitely track spending to ensure you’re on track with a budget. That’s great! More parents should do that before sending their kids out on their own. Unfortunately, most parents don’t do a budget for themselves so they certainly don’t think to teach the kids. 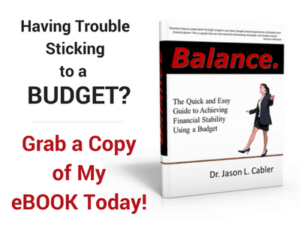 Too many people see a budget as something restrictive when it actually it is a tool that brings freedom to your finances and to your life because you have more control over your money. It helps you overcome the tyranny of living paycheck to paycheck and wondering why you have more month than you have money. “The plan of the diligent leads surely to plenty, but those of everyone who is hasty, surely to poverty” Proverbs 21:5 — There really is nothing new under the sun, is there. Yep, I think that’s probably the best verse on budgeting there is. It works not just for budgeting but for every part of life as well. Great post. So many people don’t think that they can make a budget work for them and that is so wrong. I use to think the same thing years ago, and have found out that a budget isn’t just something to restrict you on what you can or cannot buy, but actually a way to allow me to feel like I have more money and be more confident with my purchases. Before my budget, as I would try to save money, I would pass by things I really wanted and thought that I did not have enough money to buy. Once I created and maintained my budget, I realized that I did have money set aside for those things as well as my needs.